The name of this crosslinker (e.g., "dss" or "edc"). 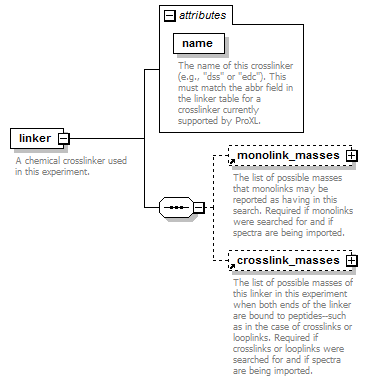 This must match the abbr field in the linker table for a crosslinker currently supported by ProXL. A chemical crosslinker used in this experiment.